Like many fast-growing cities with a history as a major food production area, San Jose, California, has largely left its agricultural heritage behind. Much of its famed Valley of the Heart’s Delight, so-called because of the vista of springtime blos­soms and once a nationally important fruit produc­tion region, has been developed into the Silicon Valley, now a global high-tech center. The San Jose Food Works study makes a case that the food sector can be an important driver for achiev­ing the city’s goals for economic development, place-making, public health, and sustainability. The study analyzes the economic contributions to the city from each food supply chain sector––produc­tion, distribution, processing, retail, and food service. It also engages stakeholders from agencies, busi­nesses, and community-based organizations in identifying gaps and opportunities for strengthen­ing these contributions. The recommendations developed with these stakeholders reflect a new commitment to collaborate on building a more robust, equitable, vibrant, and sustainable local food system. 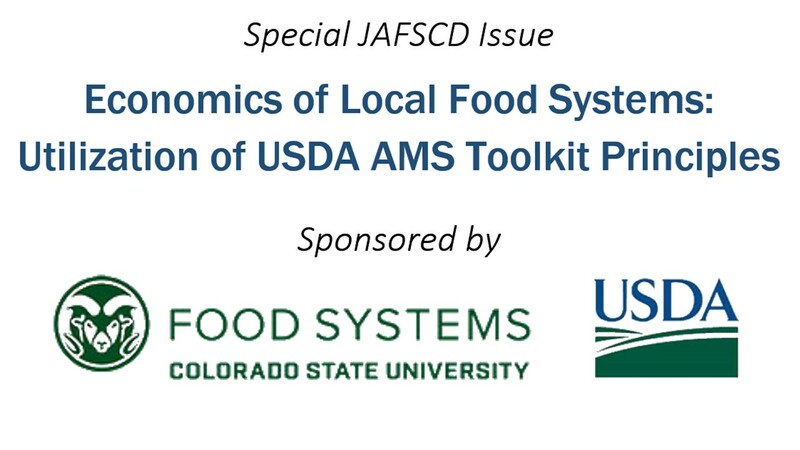 This reflective essay describes the practitioner-led development of a city-scale food supply chain assessment, as a process and product that demonstrate the methodology presented in the U.S. Department of Agriculture’s Economics of Local Food Systems Toolkit (Thilmany McFadden et al., 2016).